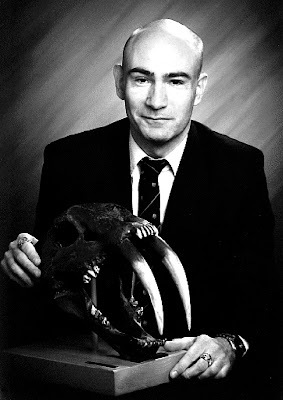 I'd always been interested in the more unusual animals as opposed to the familiar ones, so when I was bought a copy of Bernard Heuvelmans's book On the Track of Unknown Animals as an early teenager by my mother, it sparked what has become an enduring, life-long interest in cryptozoology. Heuvelmans, definitely, also my mother, whose own interest in animals and nature immeasurably encouraged and directed my own. Sadly, no, though the upside of this is that I can remain entirely objective in relation to cryptid cases, not being influenced by personal experience. Even with cryptozoology, I prefer the lesser-known, less-publicised animals as opposed to the more famous ones, so I have a wide range of interests in this field, including many that until I documented them had not been chronicled within the cryptozoological literature - such as the Scottish earth hound, the Sri Lankan devil bird and horned jackal, a vast diversity of mystery birds, the New Guinea devil pig, and all manner of little-known mystery cats from around the world. 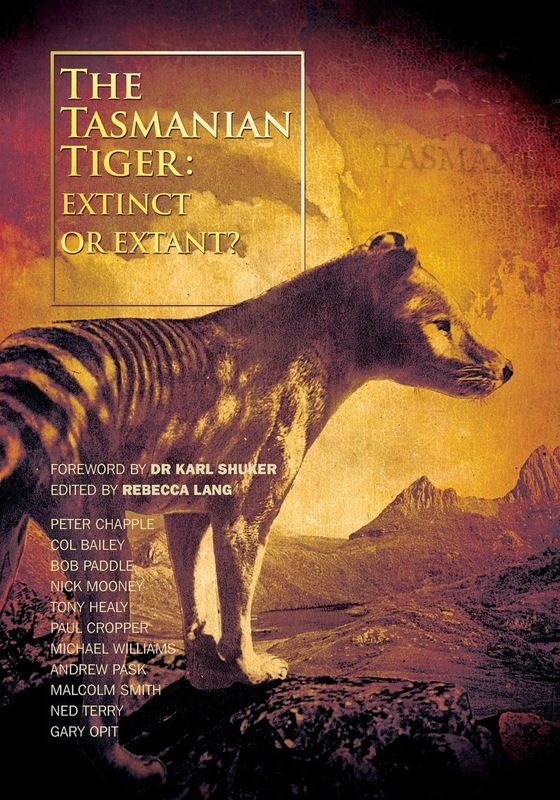 The two that seem most plausible and also most likely to be discovered at some point are the Sumatran Orang pendek and the Thylacine (though the latter may actually be discovered on New Guinea before/if at all on Tasmania or mainland Australia, if only because New Guinea is far less well-explored). The Fujian blue tiger has always held a particular appeal for me – the thought that there may have been and may even still be tigers with blue fur seems surreal and yet is backed by very reputable eyewitness reports. 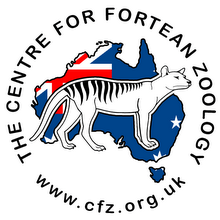 The Yarri or Queensland tiger. I'd love it to exist and to be a living Thylacoleo (marsupial lion) – that would be an immensely significant cryptozoological revelation if one day confirmed. The yowie is definitely an enigma, in terms both of its origin and of its identity. In my book In Search of Prehistoric Survivors, I discussed the lesser-known theory that it may actually be a marsupial, possibly a surviving unusually primate-like diprotodont, which would certainly make sense zoogeographically. If a genuine placental primate, however, it might have arrived in Australia by rafting from south-east Asia. Indeed, although not widely known, there is even a very yowie-like entity reported from New Guinea, so perhaps yowies crossed the Torres Strait from there into Australia. Eighteen books to date, hundreds of articles, and I've been consultant and/or contributor to ten other books, so I've kept myself busy since I began writing in the mid-1980s! 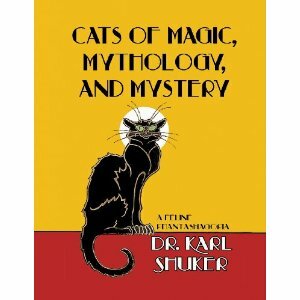 My most recent book is Cats of Magic, Mythology, and Mystery (CFZ Press: Bideford, 2012), published in December 2012, which contains a lot of information concerning Australasian examples. My official website is at www.karlshuker.com and I also have my award-winning blog, ShukerNature, at www.karlshuker.blogspot.com, which contains nearly 300 articles on a very diverse range of subjects appertaining to cryptozoology and (un)natural history. Lots! I've never actually counted them, but it has to be in the hundreds. I spotted two unusually large quails on the New Zealand island bird sanctuary of Tiritiri Matangi when holidaying in Auckland in 2006, which I later read may actually be surviving specimens of the supposedly long-extinct and fairly large native New Zealand species of quail (quails living in New Zealand today are all supposed to be the smaller naturalised Australian quail). When DNA studies of these oversized Tiritiri quails (also spied by others there over the years) were carried out, however, they revealed that the quails were not New Zealand quails after all, sadly. I've travelled all over the world, to every continent except Antarctica, and to locations as isolated as Easter Island in the mid-Pacific (which is about as remote as anywhere on the whole of planet Earth, in fact), and I've always combined holidays with mystery beast investigations on-site whenever possible. All three, hopefully – certainly, more books and articles, from which I earn a living, so it's not just for the fun of researching and writing them, though I do definitely derive immense pleasure from that. Heuvelmans's On the Track of Unknown Animals will always be #1 on the cryptozoological bookshelf for me, but nowadays there are so many others that we're spoilt for choice. Obviously, however, I definitely favour Michael Newton's massive Encyclopaedia of Cryptozoology, and George Eberhart's hefty 2-volume counterpart, Mysterious Creatures. Read as much information as possible re: the cryptid that you plan to seek before setting forth into the field – too many crypto-expeditions in the past have set out ill-equipped with knowledge on the animal that they are seeking. 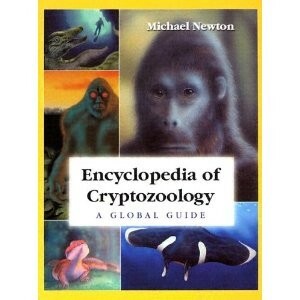 Know your cryptid thoroughly, and then you have a decent chance of discovery. A fair time ago, one ill-fated expedition clearly did not do this, because it actually went looking for the cryptid concerned in entirely the wrong country! Incredible but true.